It's been two years since over 60 people were taken from their families. The Amman bombings of November 9th 2005, is a memory etched in the minds of all Jordanians. In a country that is perceived to be calm, safe and stable, the bombings were a disturbing reminder that no nation is immune to the evils of terrorism. Two years ago, Global Voices kept the world up to date in the minutes and hours following the bombings, even when media giants like CNN couldn't. Yesterday, Jordanian bloggers remembered, finding it difficult at times to find the right words. 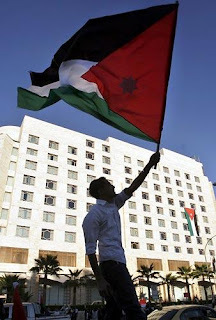 Home > Weblog Directory > JORDAN's bloggers ask: Where were you during the Amman bombings?